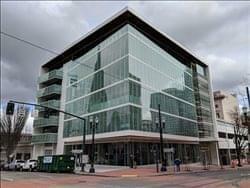 Find My Workspace lists over 95% of the executive office suites market in Portland (Oregon). Simply click Request Quote to check pricing for one office, or Add to Basket for multiple offices. This centre is conveniently located in one of Portland’s most desirable neighborhoods, the Pearl District is home to some of the city’s best-known restaurants, art galleries, and vibrant shops and boutiques. Located at the historic GE Supply Co. building, featuring bow trusses, steel windows and concrete floors, this space is a unique blend of old and new. With high ceilings that stimulate the brain and encourage free thinking; and great use of space and lighting makes this modern and stylish location perfect for individuals looking to combine workspace with lifestyle. 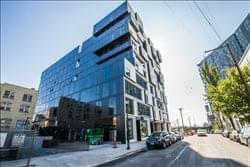 This exquisitely furnished and exceptionally supplied business center establishment is conveniently situated in the middle of the locally renowned and commercially significant Burnside Bridgehead project. Located on the first three floors of the Slate and inspired by the dynamic, modern, new building it’s in; it offers a large number of prestigious and sleekly designed office suites and workspace areas made entirely of glass and common areas that are sophisticated and a touch of professionalism. Filled with a cohort of ambitious workers, this space enhances functionality and encourages communication between members. This centre offers a large creative space in a great location, close to shopping, fitness centres, restaurants, coffee houses, art galleries and the Bridgeport Brew Pub. The space is just across the street from the LA fitness centre and the train station. There are 3 separate rooms with desk space for those that like to work collaboratively or you can rent the whole room as a private, serviced space. Tenants get access to a conference room and there is a beautiful, old fireplace that adds an heir of elegance. This space is thriving with good, creative energy that keeps the atmosphere full of motivation. 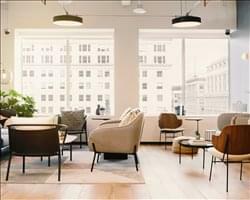 This vibrant, exquisitely furnished and exceptionally well equipped business center installation is a Portland based co-working space that services innovators, creators and ambitious professionals in need of a corporate base that easily facilitates and conveniently services their every need or commercial workspace requirement. All industries are welcome here! Collaborate with others in the realm of design, law, tech, business, finance, or development. Amenities include, Fully furnished offices, printing/scanning capabilities, unlimited coffee and tea during operational hours, plus happy hour in the afternoons. These are just some of the great amenities provided. Located right in the heart of Downtown, this space could be your next office. Extremely bike friendly so you can ride your bike to work. This office is central to four MAX lines, and farmer’s market adjacent. This space is truly at the center of it all. 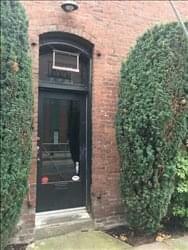 This beautiful downtown office space will elevate your small business or growing business in Portland. 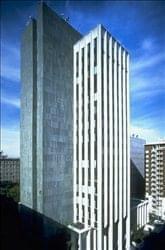 With 11th floor views across downtown Portland you’ll enjoy the location and impress clients that come to visit. The offices come turn-key and include furniture, phone, Internet, printing, conference space and shared receptionist at no additional cost to you. The office is central to downtown local food carts as well as amazing restaurants to satisfy any taste. Additionally, there is parking available in the building offered on a first-come-first-served basis for tenants. To obtain information for your selected Oregon Executive Office Suites, please tick the "Add to basket" box for each office you prefer and complete the form below. We will then send a detailed report via email.